The Poor Law Act of 1838 was apparently conceived by the government in Ireland at the time as a means of providing much needed assistance for those unable to support themselves. Little systematic help had been available prior to this and the necessity of government provision was soon to become tragically apparent with the almost immediate onset of the Great Famine. The most tangible outcome of the Act was the construction of a large number of institutions around the country known as Poor Law Hospitals, or workhouses, each following a standard design provided by the Oxford architect George Wilkinson. Writing in the UAHS publication of 1983 on The Workhouses of Ulster, Michael Gould explained how many of these were made up of three main constituent parts: the front building containing the board room, offices and outhouses; behind this, ‘the body of the house’, which generally consisted of a long building of two and three storeys with a spine extension at right angles; and, lastly, the infirmary building completing the H-plan. One of three workhouses built in County Fermanagh, much of the original complex at Lisnaskea still survives, although the infirmary building and the majority of the enclosing boundary wall have been demolished. It now sits rather forlornly in the midst of a late-20th century housing estate, with the large institutional blocks, shaped gables and latticed glazing offering a stark architectural contrast. The buildings are largely vacant and in a poor state of repair but would be more than capable of reuse. 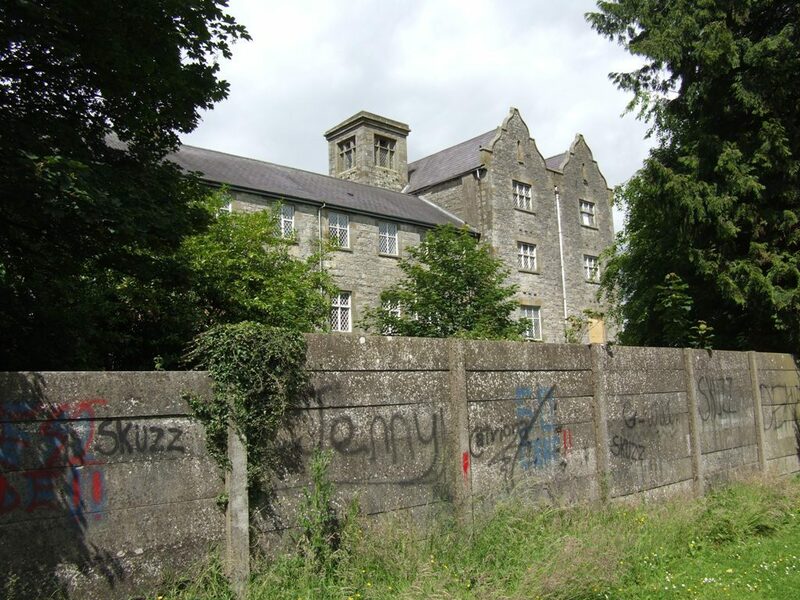 Whereas some workhouses remain in public ownership, such as those in Antrim, Armagh and Newtownards – which are in health service use – others have found sympathetic new uses including the excellently restored Roe Valley in Limavady, which hosts an array of community functions. Many have, however, been totally or partially demolished leaving ever fewer fragments of this pivotal period in Irish history. 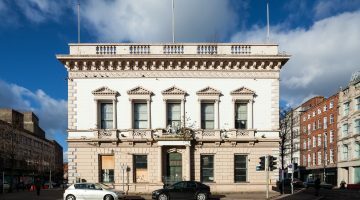 The building featured is highlighted in the recently launched Built Heritage at Risk Northern Ireland Catalogue, published by the Ulster Architectural Heritage Society in partnership with the Northern Ireland Environment Agency. This article featured in Perspective magazine, Volume 18, No. 1, January/February 2009.